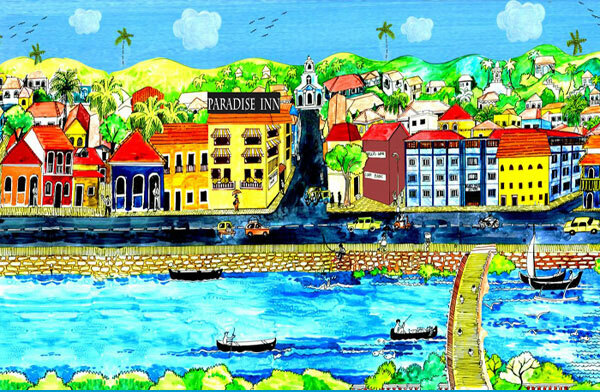 Paradise Inn, located in Panjim’s Latin Quarter, Fontainhas, is a 5 minute walk from central Panjim as well as the Patto Business Plaza, making it ideal for business and leisure travelers. Spread over 4 floors, we provide contemporary deluxe rooms fitted with all the comforts, offering quality and affordability for the value conscious traveler. 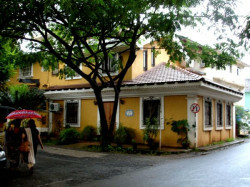 Situated by the side of the picturesque Ourem Creek, in the midst of the brightly coloured old Portuguese houses and winding alleys of Panjim’s Latin Quarter, Paradise Inn provides culture as well as convenience. 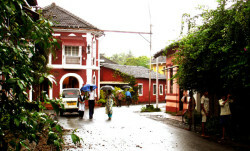 Right outside the hotel one can find a number of art galleries such as Gitanjali, Panjim Peoples and Velha Goa, selling traditional handicrafts as well as paintings by goan artists, just around the corner. You can spend an entire day just wandering through the narrow streets of Fontainhas, enjoying the colonial charm of this heritage quarter. With the main shopping and business district of Panjim a short walk away and the Miramar beach a short drive away, it is in the ideal location for business as well as leisure. It is just 40 minutes away from the Goa airport and barely 5 minutes from the main bus centre. Transport is easily available, we have a taxi stand located right outside the hotel and the main bus station is a 5 minute walk from our hotel. 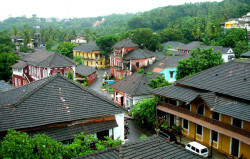 Web Design in Goa, India by Warrenasia Technologies © 2001 - 2019. Code and Structure Rights Reserved.